Come explore one of the largest wilderness areas in Washington, DC! Living Classrooms offers educational programming for grades pre-K through 12th, Boy and Girl Scouts, and corporate groups. Participants are encouraged to get curious about nature and explore the variety of ecosystems using a hands-on approach. 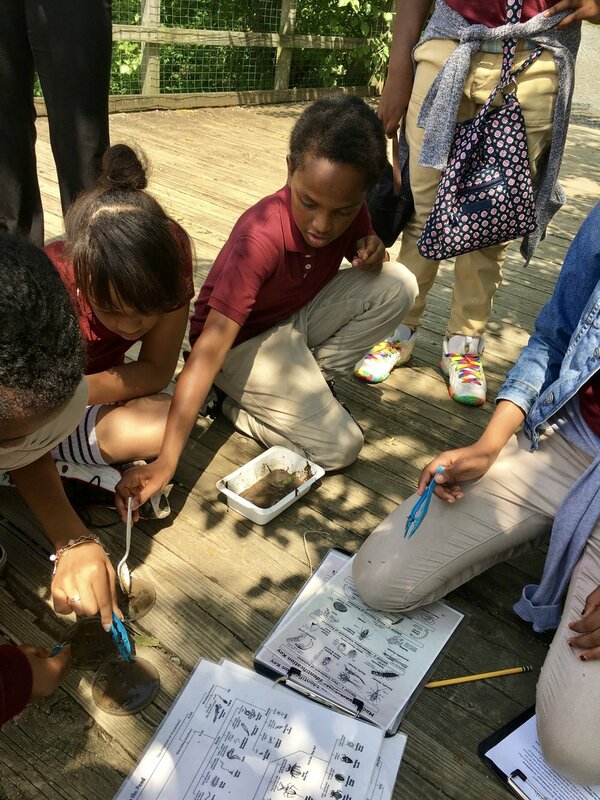 Each program builds a connection to nature and an applied understanding of STEM concepts. Please note- these study areas can be customized to teach a connective theme, target specific age groups and classroom lesson plans. Explore the diversity of habitats on Kingman and Heritage Islands or concentrate on one ecosystem. Paddle with our experienced staff on a tour of the Anacostia River and wetlands in Kingman Lake. For any questions regarding the Kingman and Heritage Islands Park, events educational programming, or volunteer opportunities, please contact Living Classrooms of the National Capital Region.